This fiber media converter offers an easy, cost-effective way to extend your network over fiber, using the SFP of your choice. 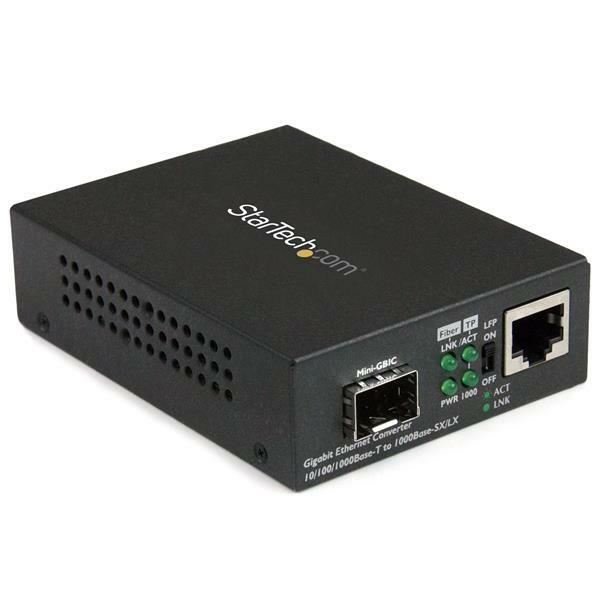 It converts a copper RJ45 Ethernet connection to Gigabit fiber to extend your network over longer distances or connect workstations to switches. 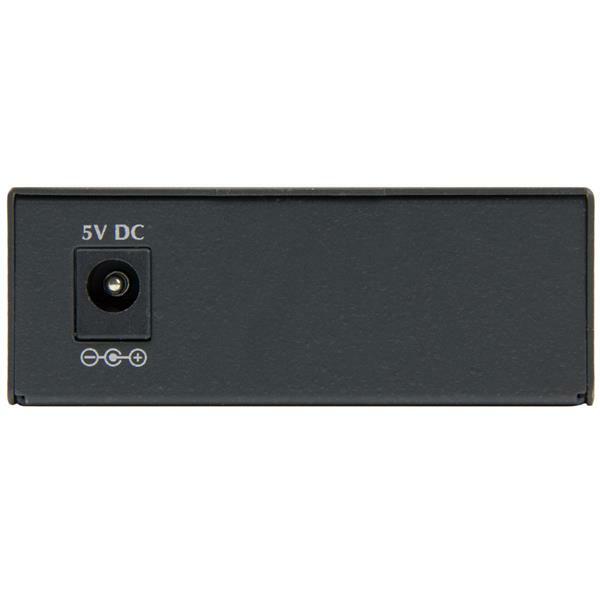 The converter provides a powerful networking solution for campuses, businesses, government facilities, stadiums, or other areas requiring network access. 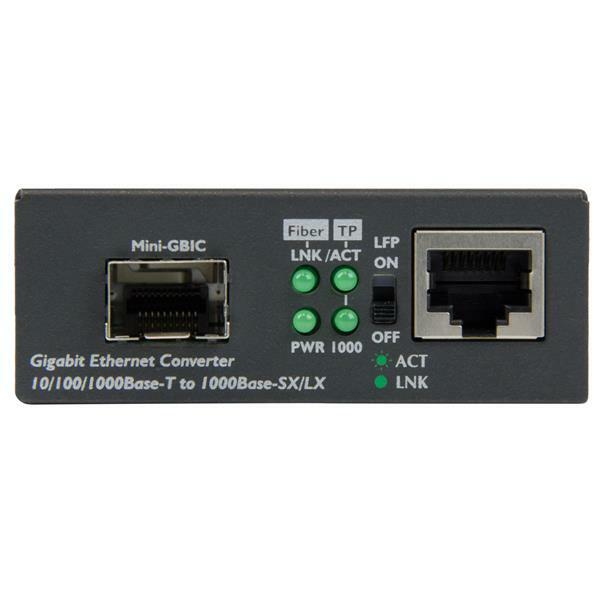 The Gigabit fiber media converter provides a cost-efficient way to connect your Ethernet network to remote devices over a fiber backbone. It features an open SFP slot that lets you choose the MSA-compliant Gigabit SFP that best suits your fiber connection mode (single / multimode) and distance requirements. 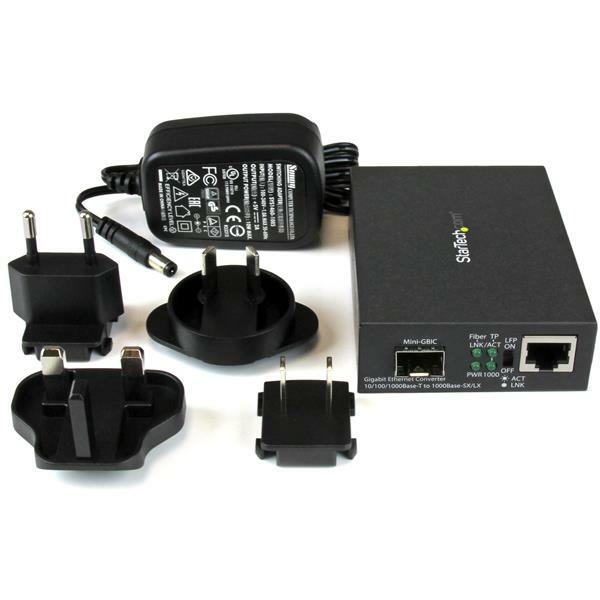 The unmanaged fiber media converter has a standalone design with simple plug-and-play set-up to ensure fast and easy installation. Compact in size, the converter gives you flexible installation options - including a wall mounting option. The MCM1110SFP is backed by a StarTech.com 2-year warranty and free lifetime technical support.